In Price, you can put the price you want for your token. 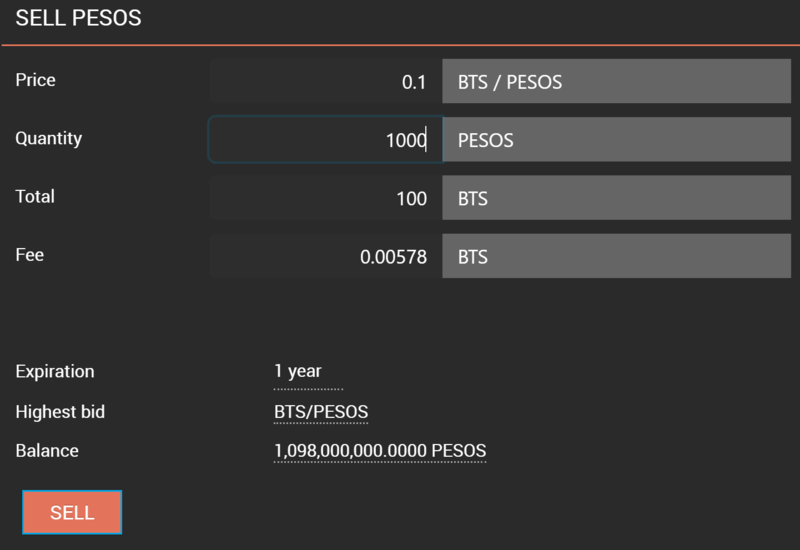 In this example, I will sell 1000 PESOS Token for 0.1 BTS per token. That's cheap and it will sell based on market demand.